Most people cook eggs in some form or the other, biologically eggs are the best source of Protein, they contain all the essential amino acids your body needs. A whole egg contains 6 gms of protein, while an egg white has 3 gms. Your body absorbs 94% of protein from a cooked egg. But the problem faced by most people who boil eggs, is that it is very difficult to predict when they are boiled to your specification i.e. soft, medium or hard boiled. Well that wait is over. 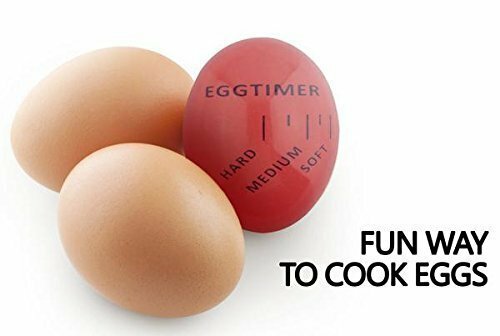 You can now purchase the boiled egg indicator, all you have to do is place it with the eggs you want to boil, and watch it change colour to indicate whether the eggs are soft, medium or hard boiled. Click on the Image below to purchase one on Amazon. Enjoy perfectly boiled eggs.